“Not long ago, SoundCloud was one of the fastest-growing and most influential players in the streaming business,” said Ben Sisario in The New York Times. The online music platform, which has helped launch the careers of hitmakers like Lorde and Chance the Rapper, boasted 175 million monthly listeners, and last year launched a paidsubscription model to compete with Spotify and Apple Music. But today SoundCloud is facing an “uncertain future” in a “rapidly consolidating” online music market. After a decade of struggling to make a profit, the Berlin-based company announced last week that it’s laying off 170 employees—about 40 percent of its workforce—triggering rumors that it could be shopping around for a buyer. “The fate of the world’s biggest collection of bedroom remixes, garage recordings, and living room podcasts” is at stake, said Josh Constine in TechCrunch.com. What makes SoundCloud different from other streaming giants is its huge repository of tracks uploaded by amateur and semi-professional recording artists, making it “the YouTube of music.” But it has struggled to compete for mainstream listeners, who gravitate to Spotify and Apple Music because those platforms feature the biggest acts. 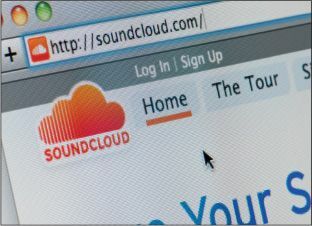 It’s a “chicken-and-egg problem.” SoundCloud needs enough paying subscribers to lure artists, but it also “needs the best artists’ content in order to seduce” listeners to pay in the first place. Even Spotify’s survival isn’t guaranteed, said Liam Proud in Reuters.com. When platforms do attract paying subscribers, most of the money ends up going “straight out the door”; 85 percent of Spotify’s $3.3 billion in revenue last year went to royalties. Unless something changes, deep-pocketed tech companies like Apple and Amazon, which can afford to subsidize their streaming businesses, “will take a bigger share of the market in the long run.” Whatever happens, SoundCloud’s potential death “should scare music lovers,” said Brian Feldman in NYMag.com. There will always be places to listen to music online, but SoundCloud is a community, with unique stars and even its own genre, “SoundCloud rap.” Like the video-sharing app Vine that shut down last year, if SoundCloud goes, an entire artistic scene could vanish with it.